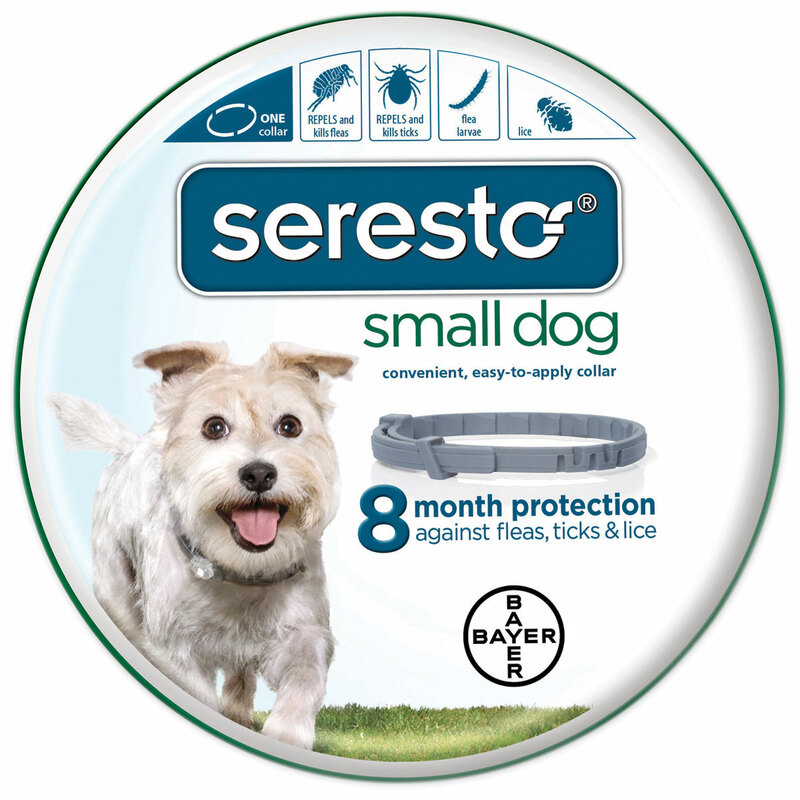 The Seresto® Flea & Tick Collar is a unique polymer matrix collar that offers a continuous supply of two active ingredients: imidacloprid and flumethrin for effective 8-month protection against fleas and ticks. That's one convenient, non-greasy, odorless flea and tick collar instead of 8 monthly treatments. Clinically proven to kill and repel Fleas & Ticks! TheFlea-Bite Shampoo utilizes a gentle blend of 4 natural essential oils: cedarwood, peppermint, rosemary and lemongrass oil. Best if used together with the Flea-Bite Spray for maximum effectiveness. Espree® Flea & Tick Dog Spray is a ready-to-use formula that aids in killing fleas and ticks on contact on dogs. Leaves your pet smelling fresh and clean while helping to kill fleas and ticks! Made in the USA. Espree® Flea & Tick Repellant Dog Wipes safely and effectively helps repel and eliminate fleas and ticks. Easy to use as a preventative before or after outdoor activities. Made in the USA. 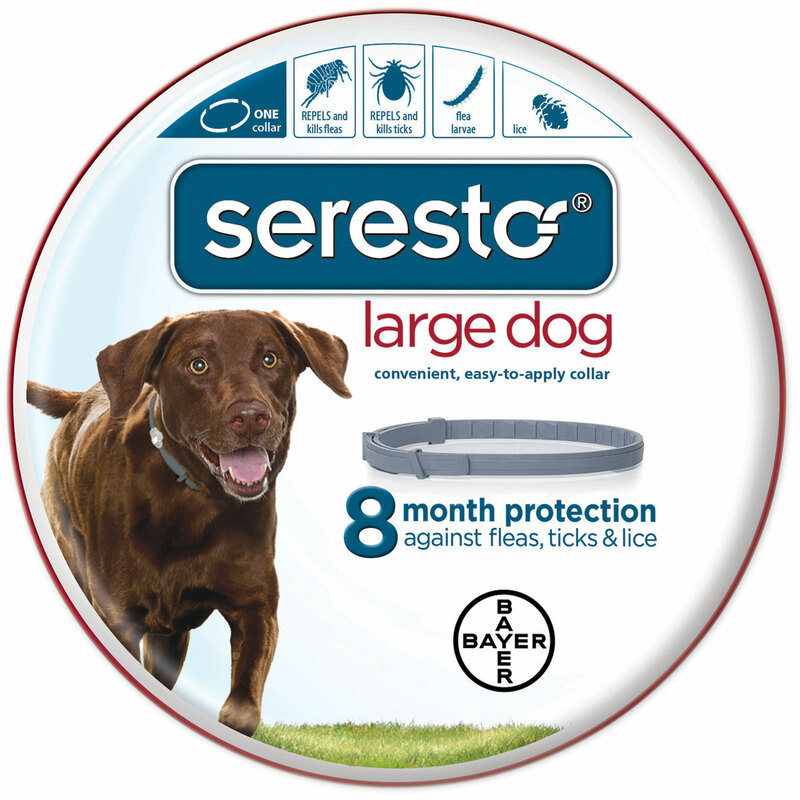 Seresto® Flea & Tick Collar is rated 5.0 out of 5 by 8. Rated 5 out of 5 by DogNPony from A must-have for living in Tick Town! We live in a very tick-heavy area and our dogs have to have year round tick protection. We had used another collar in the past but when it became unavailable switched to Seresto. I had concerns about the price since we have a lot of very active dogs who had been prone to breaking or losing the other brand. These collars have a unique locking mechanism that has resulted in not one lost! More importantly, they are far superior to repelling ticks than the other brand. And they truly do last 8 months. I'm so glad I switched to Seresto! Rated 5 out of 5 by christine526 from WE are happy that Smart pak carries this brand. We have been using it with success on older dog. I do not like the topical application products. Rated 5 out of 5 by Alex2 from The only collar that really works! This will be my third season of using the Seresto collar on my pet. It is the most trouble free and effective way I have found of keeping ticks and fleas away from my pet and out of my house. Rated 5 out of 5 by Bean from Tick-free We live at ground zero for Lyme and others. Super results! Rated 5 out of 5 by Jaderian from Leagues above other methods I LOVE using this collar. No more greasy spots on by dogs neck and back from topicals. No more worrying about fleas and ticks. It does make my dog’s neck incredibly itchy so I like to take his collars off every evening and give him a good scratch. I haven’t noticed a rash or anything just a little extra itchy underneath. I refer this collar to everyone and I have not found it cheaper anywhere else. Most pet and farm stores are $60-$80 still. For 8 months of protection, it’s so cost affective against the competitors. Rated 5 out of 5 by Star from Super Convenient I've loved the Seresto collars because it makes keeping fleas and ticks off of our dog so easy. It's nice to know that our dog has continuous protection without the hassle of putting liquid flea protection on. Rated 5 out of 5 by FlyHighLittleHunterVA from The ONLY Flea Prevention that works for my dog! I have tried everything under the sun for flea prevention for my Border Collie. She has super sensitive skin. Other prevention options caused her hair to fall out, redness and swelling, and also even had "temporary startles" with one! I had all but given up until I tried Seresto! She has no issues whatsoever with this collar. I love that I can give her baths in it (as a herding dog she likes to get a bit dirty). I would definitely keep using this collar! Rated 5 out of 5 by qhawke from It Works! The Seresto Flea and Tick collar keeps the fleas and ticks off my Pomimo for 8 months. The cat version is great too!